Campbell & Kennedy (C&K) was appointed by Hutcheon Services to install a solar photovoltaic system (PV) to a commercial new build at Union Grove Street, Aberdeen for a new office development project. As part of the Government’s carbon reduction plan, all newly constructed buildings must be energy efficient in an effort to help reduce CO2 emissions by 80% by 2050. Therefore, all new buildings undergo a Simplified Building Energy Model (SBEM) test to determine the energy efficiency rating of the building. To help the new development meet these standards and receive a high rating Energy Performance Certificate (EPC), it was decided to install solar PV due to its ability to effectively reduce carbon emissions by providing renewable energy. 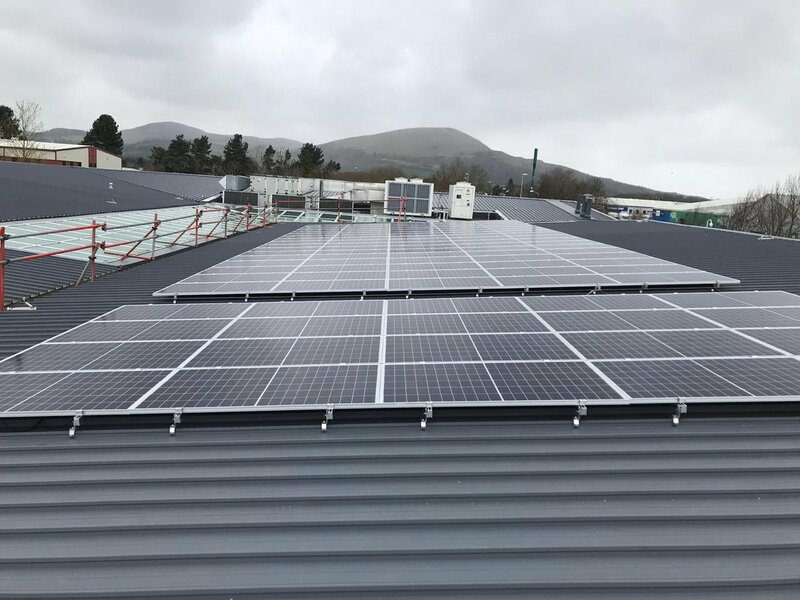 C&K managed the entire process from start to finish, providing the full design, testing, installation, commissioning and handover of 60 250w solar PV panels to Union Grove, accumulating a total install capability of 15kWp. Our highly qualified engineers installed the system in a safe and efficient manner and completed the installation on-time, on-budget and on-spec. Following thorough testing of the system it was then MCS certified and therefore made eligible for the Feed-in Tariff (FiT) Scheme. The project was a huge success and was completed to the required quality expected from Hutcheon Services. The property now meets energy efficiency standards, will help contribute to a greener environment by reducing CO2 emissions and will allow the property owner to generate income from the Feed-in Tariff scheme.